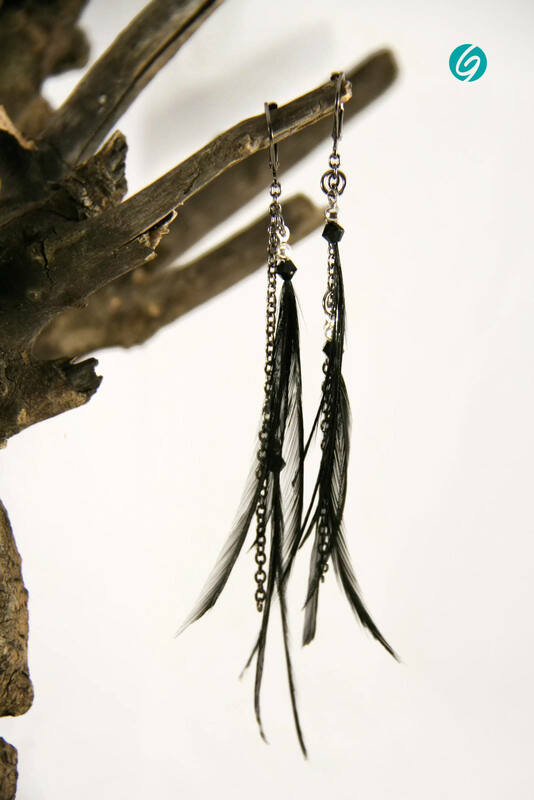 Elegant pendant asymmetric earring, made of nice long black feathers decorated with swarovski style beads. Elles sont si belles! Je les adores!